Successfully Added ESCAM Speed QD800WIFI ONVIF HD 1080P P2P IP66 Waterproof Security WiFi IP Camera to your Shopping Cart. 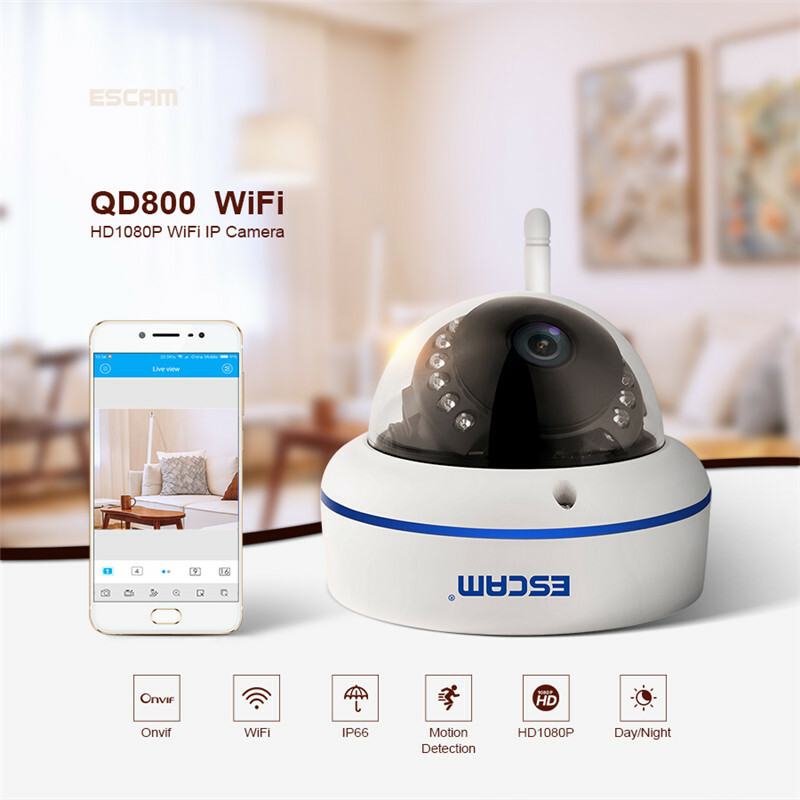 The ESCAM Speed QD800WIFI IP Camera Support max 64G TF card and IP66 waterproof, also Support CMS viewing, APP viewing and Brower viewing. It supports onvif that make it compatible with other devices. It can gain ultra-clear quality image with full HD 1080P up to 1920x1080 resolution. With wireless access point, the camera can be connected to phone directly without router. Also, it is suitable for indoor and outdoor use with IP66 waterproof.